Without robots we can’t imagine our website, so this time we will speak about YuMi robot. 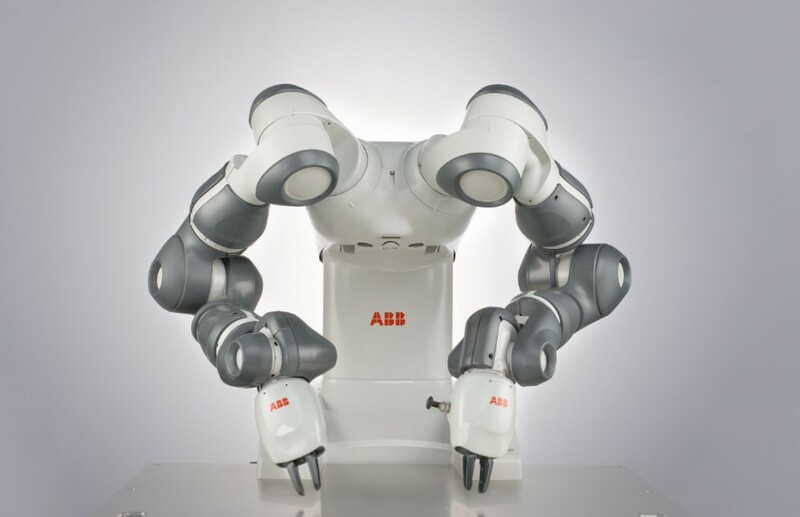 ABB has developed a new YuMi collaborative robot that has dual arm. 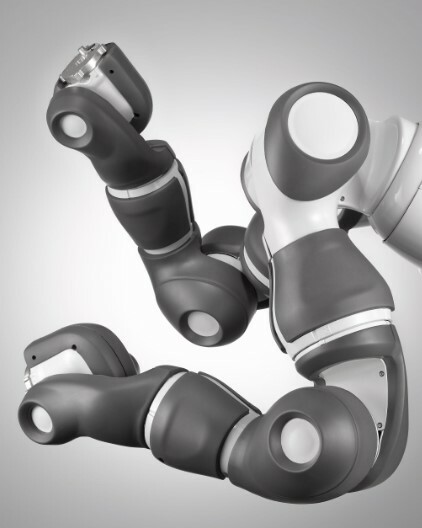 The robot is the first collaborative dual arm robot, designed to work side by side and integrated with humans. “The new era of robotic co-workers is here. YuMi® is the result of years of research and development, making collaboration between humans and robots a reality, but it is also much more”, notes new.abb.com. 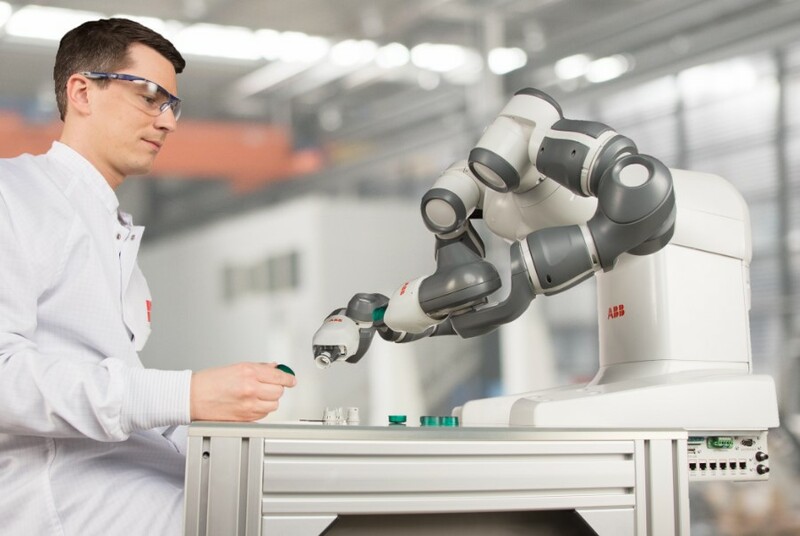 ABB has developed a collaborative, dual arm, small parts assembly robot solution that includes flexible hands, parts feeding systems, camera-based part location and state-of-the-art robot control. YuMi is a vision of the future. And it will change the way we think about assembly automation. YuMi is “you and me”, working together to create endless possibilities. YuMi robot can work with a variety of HMI devices, such as tablets and smartphones. [Its servo grippers, or “hands”, have the option of built in camera, the padding on the arm makes it soft to touch, and its 100-240-volt power supply plugs into any socket worldwide], informed www.robots.com. One of the specific features of the YuMi is that it is the world’ first truly collaborative robot, that can work side-by-side on the same tasks as humans while still ensuring the safety of those around it. Robot can hand anything you may think about starts from a watch to a tablet PC. It has also another unique feature, this is “inherently safe” design. The feature allows to work alongside humans while reducing risks to acceptable safety levels. “For manufacturers, the market has changed the rules in ways that can be addressed effectively only by automation. The “new norm” of Small Parts Assembly is higher product volumes, shorter product lifecycles, shorter lead times and a growing trend to customize goods – particularly electronics – close to final markets”, mentions new.abb.com. How to Use Brain signals and Hand Gestures to Control Robots?